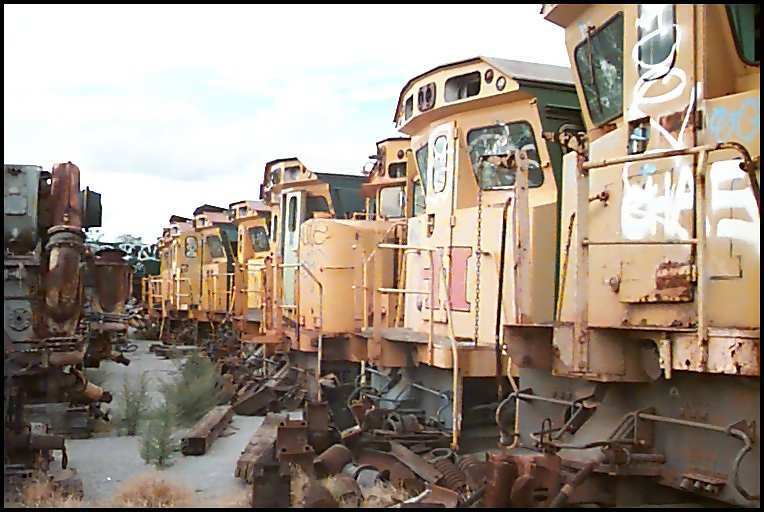 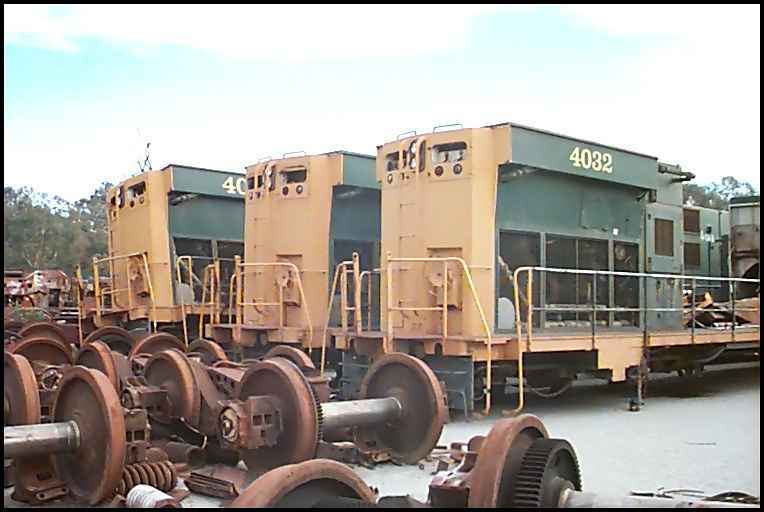 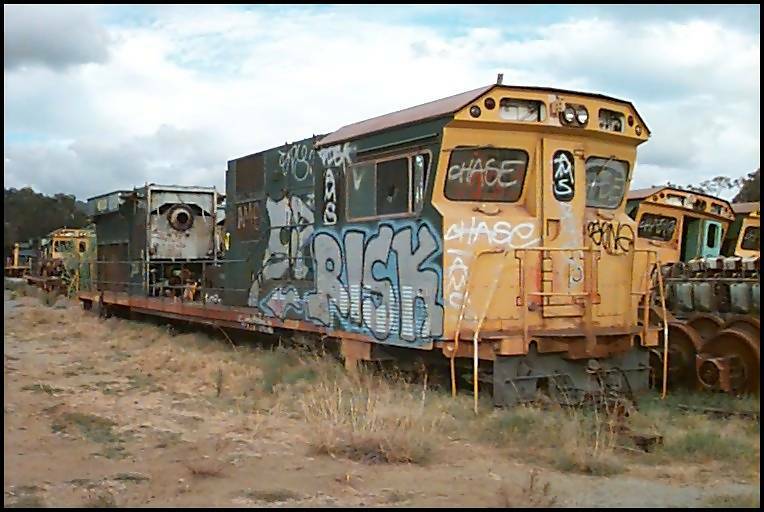 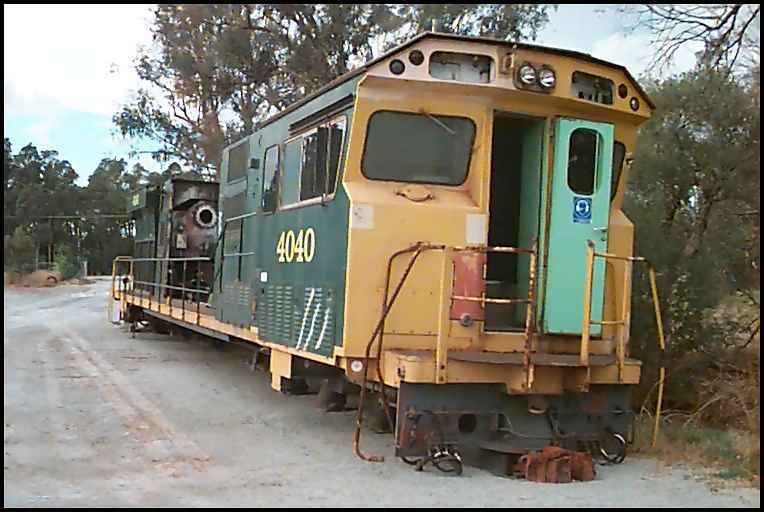 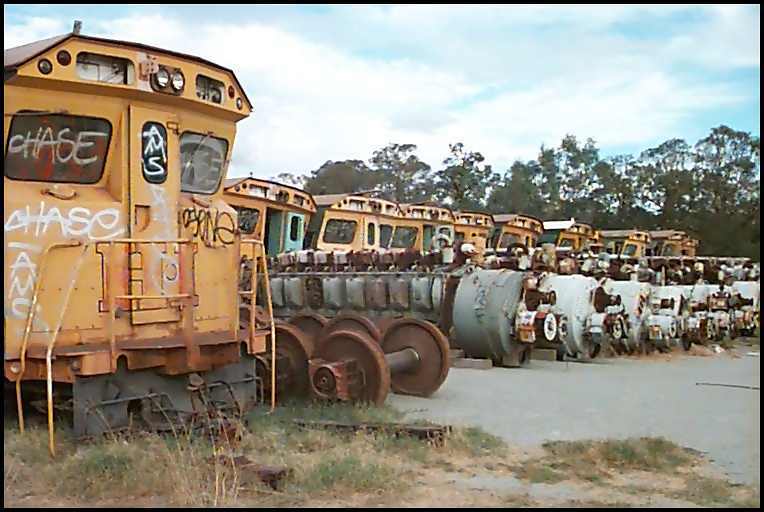 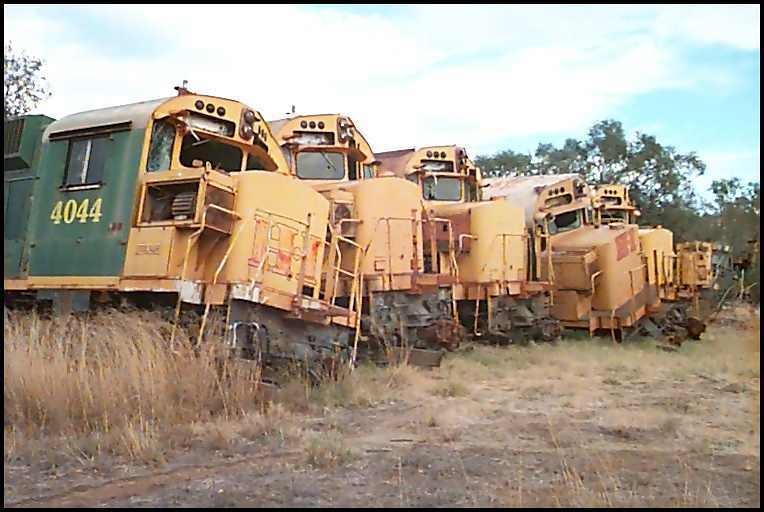 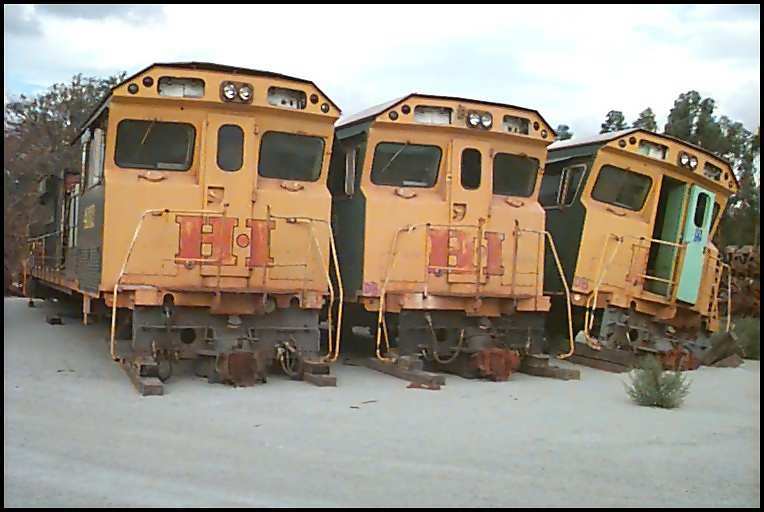 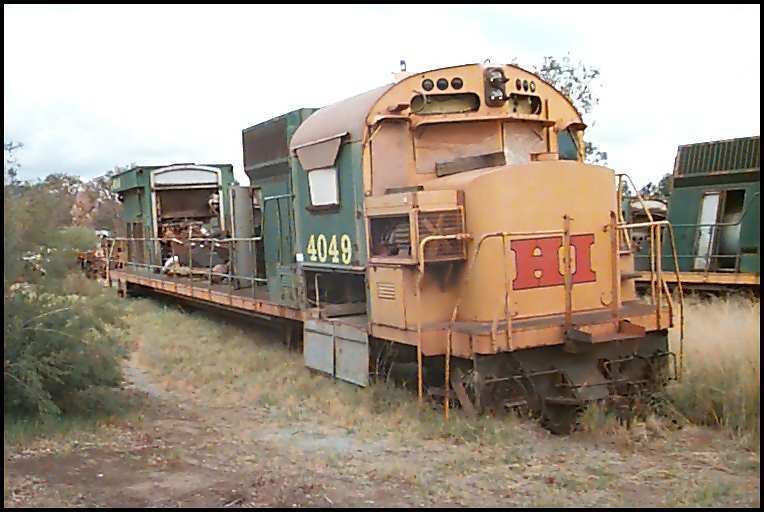 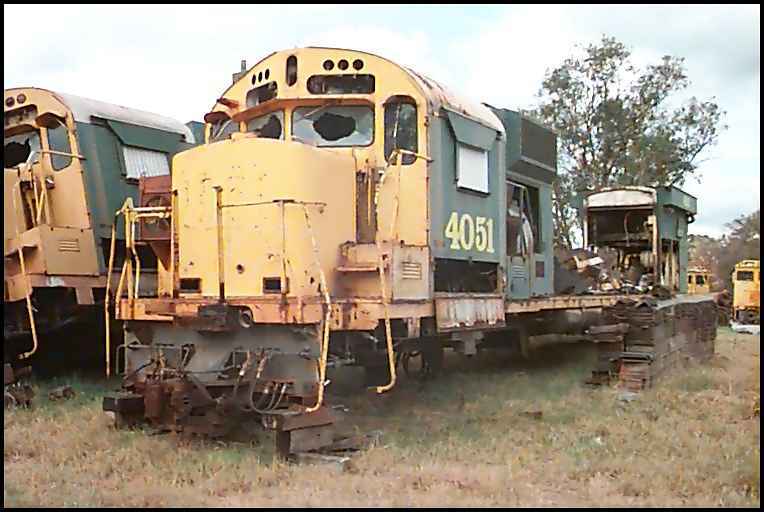 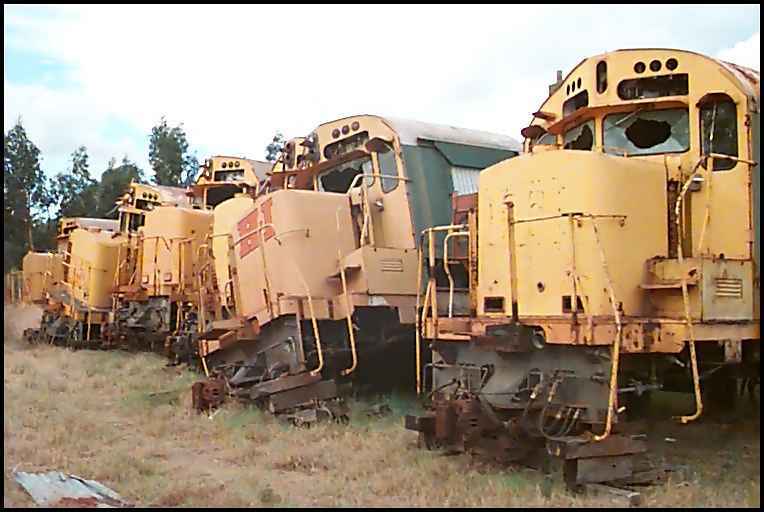 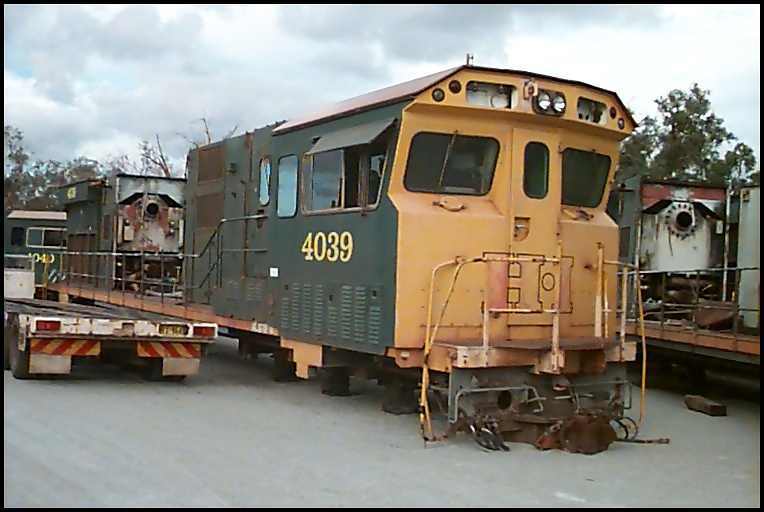 These ex Hamersley Iron locomotives taken on 23 April 2000 are located in a field near the Perth southern suburb of Maddington. 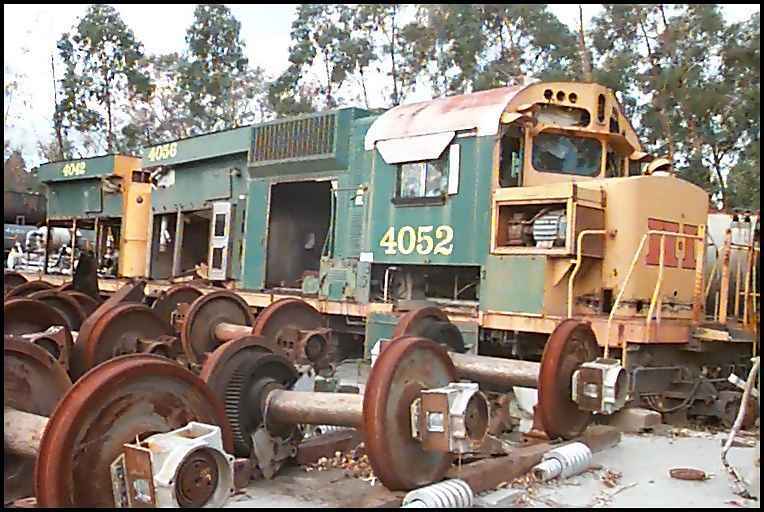 The locos, numbering about 50 in total, all have bogies, fuel tanks and power units removed and are heavily stripped of other parts and many of the cabs have been vandalised. 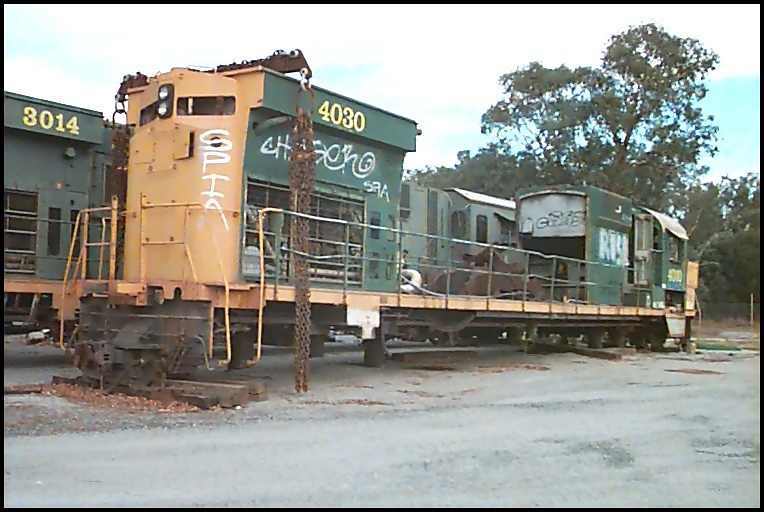 A local scrap merchant owns the yard.